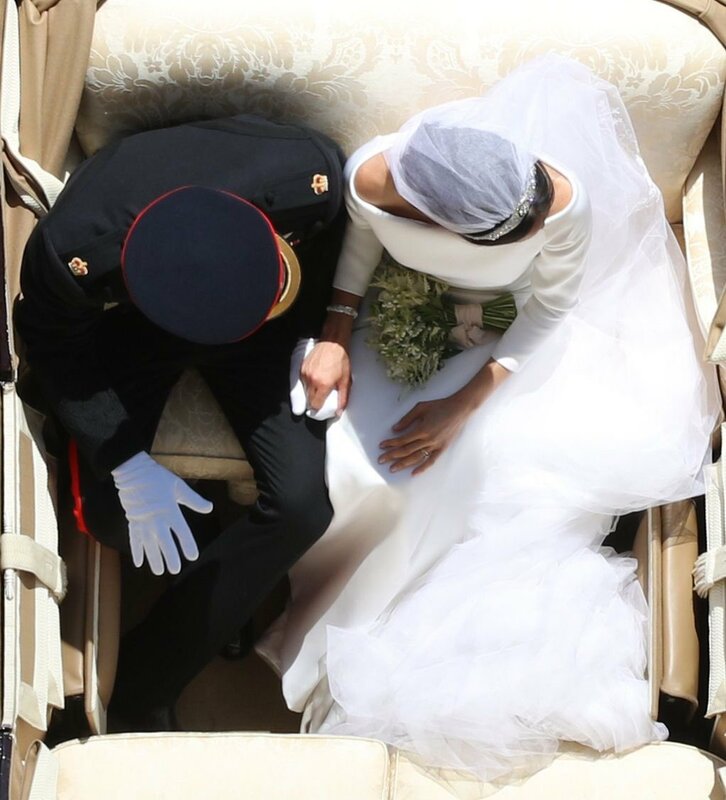 (Harry and) Meghan: What’s the Fascination? 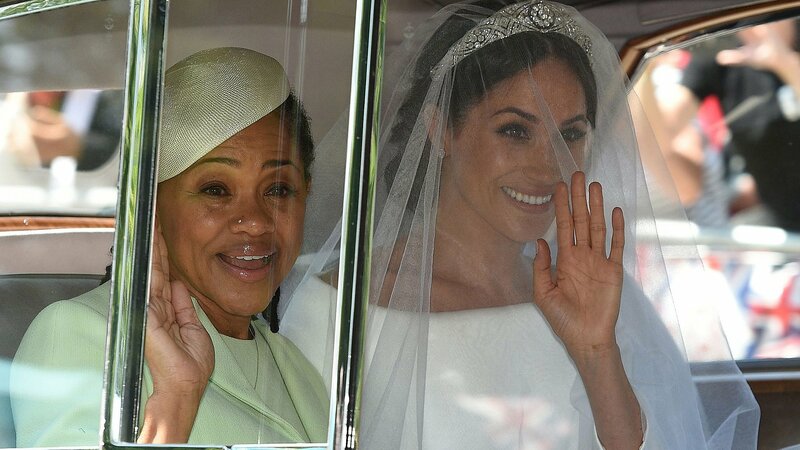 I spent this morning on my favorite social media platform (Twitter) catching up on the feedback to the #RoyalWedding (alternative hashtag: #HarryandMeghan with a tiny icon of two intertwined wedding rings). As expected, some of it was purely gushing. Others wished the newlyweds well – even if grudgingly so. Some sourly declared their lack of interest in the proceedings (and when is England going to pay reparations?) 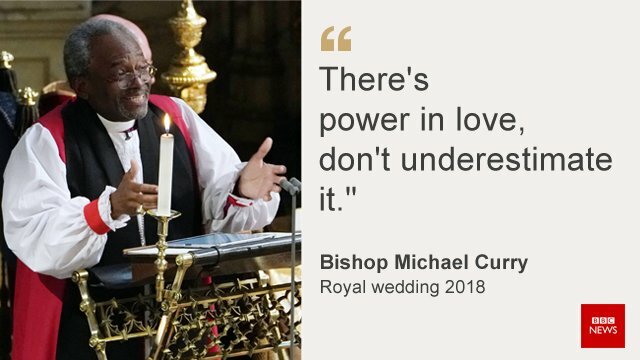 And some seemed to have surprised themselves into finding some meaning in the real-life fantasy wedding. This beautiful photo that was tweeted quite a bit was taken by a UK Press Association photographer Yui Mok. First, the unabashed fans (I enjoyed their tweets the most). The HarryandMeghan-ites set out appropriate drinks such as Pimms, and snacks to enjoy in front of the television screen (at 4 a.m.?) I think cucumber sandwiches were mentioned. I hear some even dressed in their “Sunday best” for the occasion. Fascinators, perhaps? I would love to see pictures. Secondly, there were some Jamaican observers who, rather like me, disapprove of the monarchy on principle. But perhaps I should never have watched the Netflix series The Crown so avidly, and perhaps I should not be looking forward to Season Three so eagerly. That may have swayed me a little. So, instead of railing against the inequality of British society (which I know to be a fact), I found myself confessing…“Well, yes, they are so in love. Oh, isn’t the veil beautiful.” And so on. Hmm. What a hypocrite I am! Then there were those who declared, very loudly, that they did not care about the Royal Wedding. 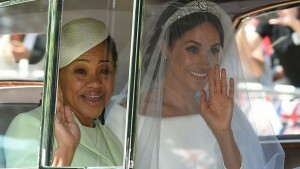 Moreover, those who elaborated on the reasons why they entirely reject the Harry and Meghan Show illustrated their views with YouTube videos of the horrors of slavery and demands for reparations. I am not sure whether the reparations debate is making any progress, by the way, or whether it is simply more hot air emanating mostly from our halls of academe. Be that as it may, the point is well taken. The Royal Family was built on centuries of injustice, violence, and the exploitation of peoples around the world, many of them people of color. Fact. The visit of former British Prime Minister David Cameron, when he told Jamaicans to “move on” from the days of slavery, still rankles. No, the slate has not been wiped clean. However, that’s hardly the fault of two millennials, who have fallen in love: one a television star and divorcée from California, the other a young man with the kind manner and empathy of his late mother (was she killed on the orders of the Royals? We shall never know). There is hope in these two, perhaps; although many believe their marriage will make not one iota of difference and will not right any wrongs. Could we even expect them to? Nevertheless, I do hope that they will do their best to bring some balance. They have the power and influence to do so. I understand the usefulness of all the royal stuff, however. I understand why it is as addictive as a sugar bun, or a slice of Victoria sponge cake (one of my favorite English sweet things that I should never eat – I don’t know why I suddenly thought of this and yearned for it!) The Royals help to bring in the tourists – millions of visitors annually. They help to highlight British traditions and keep history alive. Above all, perhaps, they are one glorious soap opera. Theirs is a fantasy world that we ordinary mortals can never inhabit, but which, strangely, actually exists. The Clooneys – she in her dazzling yellow hat and elegant dress and he relaxed, smiling suavely – fit right into the picture. The Crown (which may, of course, have a great deal of poetic license) portrays the Family (or “The Firm,” as it is sometimes called) as pretty dysfunctional at times – and yet glamorous. However, watching all the nodding fascinators on well-coiffed heads, the kisses on both cheeks, the designer handbags from which special guests carefully withdrew their special invitations, the conversations among waistcoated men with champagne flutes in their hands… It struck me that, yes – these people live in a different world from the likes of you and me. Perhaps that’s what makes them so…fascinating.